In what would turn out to be the Liberal Government’s swan song, and amid widespread criticism from the business community, the controversial changes to the method of calculating statutory holiday pay in Bill 148 were rescinded on May 7, 2018 and replaced with the calculation method that was in place prior to January 1, 2018. 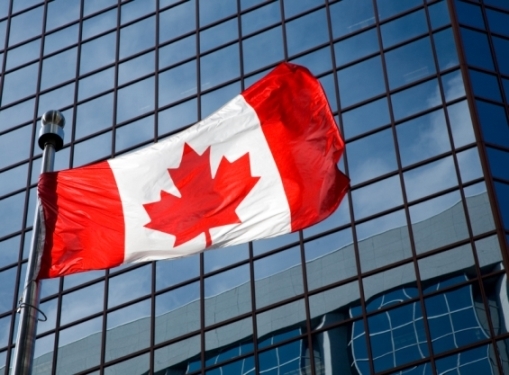 As we approach the Canada Day long weekend when employers will be reverting to the old legislative calculation, CCP provides a timely reminder of the public holiday rules in Ontario under the Employment Standards Act, 2000 (the “ESA”). Prior to Bill 148 coming into force, public holiday pay was calculated for any employees who didn’t work regular hours each week by taking the employee’s total wages for the four weeks prior to the work week in which the public holiday fell and dividing that number by 20. This resulted in employees being paid holiday pay in proportion to the time they worked for their employer regardless of whether they were full-time, part-time or casual employees. Under Bill 148, an employee’s public holiday pay entitlement was equal to the total amount of regular wages earned in the pay period immediately prior to the public holiday, divided by the number of days the employee worked in that same period. This resulted in costly changes for employers who employed casual and part-time workers and created bizarre (and most would argue disproportionate) entitlements in certain circumstances where casual employees could be entitled to more holiday pay than part-time employees and the same holiday pay as full-time employees. Effective July 1, 2018, employers will revert back to the formula in place prior to Bill 148 for any employees who do not work regular hours (total wages in 4 week period prior to work week where public holiday falls divided by 20). Although Ontario Regulation 375/18 was enacted as a temporary measure while the Liberal Government did further review of the holiday pay provisions and is set to be revoked on December 31, 2019, we will need to wait and see if the new Progressive Conservative Government will keep the current calculation method in place beyond the end of 2019. 1. Unless specifically exempt under the legislation, all employees are entitled to statutory holiday pay as soon as they commence employment.There is no waiting period for entitlement. 2. Most employees are entitled to take the statutory holiday off and receive holiday pay if they work their regularly scheduled day before and after the statutory holiday unless they have “reasonable cause” to miss one or both of those work days. 3. If the statutory holiday falls on a day that an employee would normally work and the employee agrees to works that day, they are entitled to be paid their regular wages for that day and receive a substitute day off with holiday pay unless there is a written agreement that they will receive premium pay (1 ½ times regular wages) in lieu of the substitute day off. 4. Premium pay paid to an employee who works on a statutory holiday is not counted for the purposes of overtime pay. 5. Where an employee will be receiving a substitute day off they must receive confirmation of the substitute day prior to the statutory holiday and generally the substitute day must be taken within 3 months of the statutory holiday (can be extended by written agreement between the employee and employee for up to 12 months). 6. If employment ends prior to the substitute day being taken, the employee must be paid their holiday pay within 7 days of the end of employment. 7. Special rules apply to hospitals, the hospitality industry and continuous operations.Employers in these industries should refer to the ESA. The team at CCP has expertise to assist employers with all of their ESA issues. Click here for a list of team members who would be happy to speak with you about this often complicated piece of legislation.